Visit Arcadia CA! 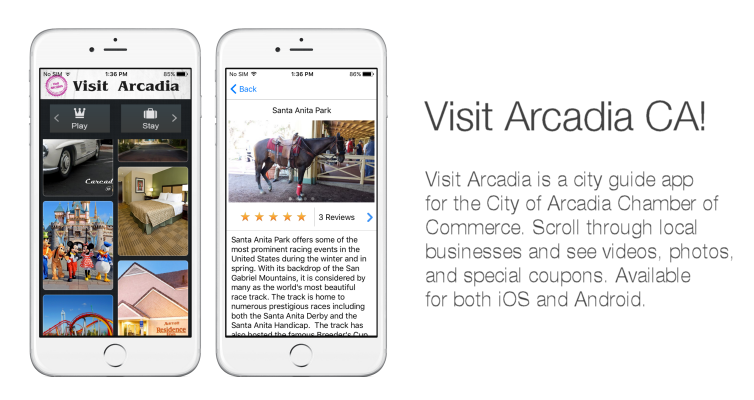 - Digital Wander, Inc.
Visit Arcadia CA is a city guide app, that lets visitors find hotels, restaurants, things to do, and where to shop. Built for the City of Arcadia Chamber of Commerce, the listings include reviews, videos, photos, and any special coupons for visitors using the app to get around.